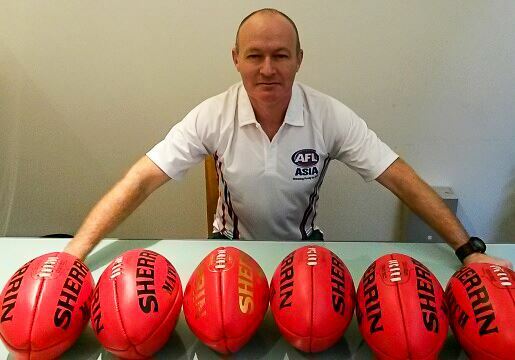 AFL Asia’s Director – Australia, Mark Stennett, who is the driving force behind the AFL Asia event in Melbourne on 17 August, has just written to the five Asian teams competing in IC14. Going to be a massive mid tournament function for everyone. Very much looking forward to meeting everyone.. Hopefully I’ll see you at a few games beforehand as well.. Entry is free to everyone and drinks and food are available over the bar. AFL Asia is looking to offer each team the first drink free (beer or soft drink/soda) probably to the tune of 25 or so drinks per team. We have some live music arranged and will have a couple of big screens for some video presentations.. If anyone has a video or photos on a USB they would like to show by all means bring it along..
Just received six spanking new footies, donated by Sherrin today. 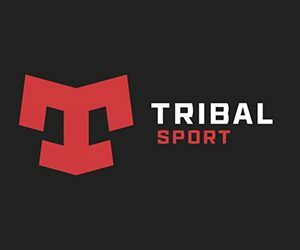 We are asking that each team captain sign the balls and they will be presented by Gary Buckenara as a momento to each team Captain … Gary will call each captain up to the stage and they will be free to say a few words .. if you would like.. no pressure. The 6th footy will be Auctioned to raise money for AFl Asia..
Michael the director of “Aussie Rules the World” has confirmed his attendance with his wife.. We will play the trailer and get him to say a few words..
You can catch a Tram down to very near the hotel. It’s the No. 109 Tram on Collins Street in the city. You go all the way on the Tram to the beach (until you can go no further), then get off and head south (follow the beach and keep the water on your right). The pub is on the corner of Bay street a few blocks down. Total trip about 35 -40 mins..
A taxi would be quick if you could get one..